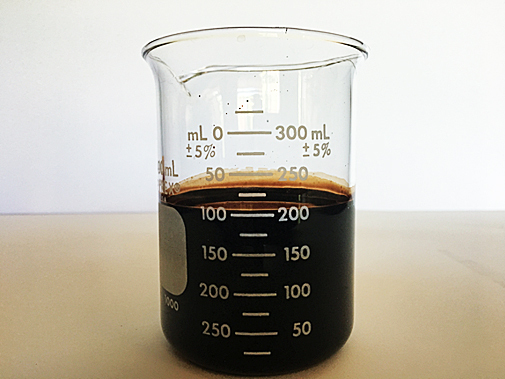 Our liquid humic acid is an easy to apply very stable soil amendment. Because it is a liquid it can be applied in several ways, including injection into drip irrigation systems for immediate delivery to the root zone. All the benefits of humic acids are quickly delivered into the root zone in a bioavailable form to improve soil health, microbial populations, and encourage vigorous root growth. Our Bio Humic Acid is extracted from humates utilizing a method approved by the National Organic Program of the USDA. Humic and fulvic substances are the major organic components of humates, a soft, brownish, coal-like material. Humates are highly compressed, natural organic humus formed by the biological breakdown of plant life over millions of years. Our humic acid products are derived from a humates called leonardite ore, a material created by decayed ancient rain forests from the cretaceous period, 75 million years ago. Humic acids are used extensively as a natural soil amendment, especially in soils that have been farmed for a long time and have become depleted. The addition of humic acids providing a carbon rich source of soil organic matter can help improve soil and crop production. Our humic acids are bioavailable, meaning readily available for the root zone and plant use.